She curls up into the cranny of my arm and brushes her cheeks against mine. I revel in the baby soft skin and inhale the sweet baby scent of her hair and pull her a bit closer, savouring this moment, committing every detail of it it to memory. I want it to last forever.
" I am so lucky. Why did you choose me as your mother?" I ask . She thinks for a fraction of a second and then without missing a beat she answers, trailing my cheek with her tiny little fingers. "When God was sending me to Earth, he pointed out a lot of mummies. I looked around and you were the prettiest and the kindest and the sweetest. So I chose you! Simple!" she exclaims and breaks into a grin, like she has just made the most profound statement on earth. She turned nine today, my baby. It seems just the other day that she was born (at 5.45.A.M, the sun was just rising) and I had cried in joy, not believing that I could be so lucky to have a daughter. 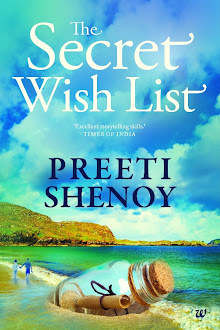 "Don't cry, you can try for a boy next year," the Nurse at the hospital had said, presuming I had a son fixation which a lot of people in India do. In my hormone crazed pregnancy madness I could have hit her. "I already have a son. I had been longing for a daughter. I cannot believe I am so lucky. These are tears of joy." I had said haltingly, mumbling one third in anger, one third in excitement and the rest in the sheer exhilaration of the moment. I am so glad I did. The million watt smile she gave when she saw the picture was totally worth it. Happy Birthday my darling daughter. You are loved a LOT. 1.Happy birthday Manish Rahul He is one of my oldest friends who went to school with me.! 2. Happy Birthday Mamta Sharma who is now a good friend. Happy birthday to dear Purvi from Tanya and Riona also and congratulations to her parents! Wishing Purvi a very Happy Birthday wid loads of blessings!! Wishing her a lovely lovely day! Hope she has a fabulous day and a wonderful year ahead! She must have jumped with joy at the thoughtful presents you got her! Happy Birthday to dear Purvi! Have an awesome year ahead! Happy birthday to young Purvi! Wishing dear Purvi A Very Very Happy Birthday!!!! 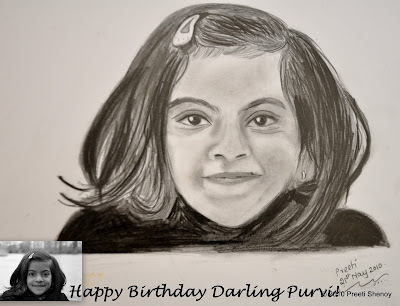 Thanks a lot for your thoughtful wishes, Pritj...I too feel a connection with Purvi, though I met her when she was a very little girl. Now, I have a little girl and revel along with my wife in the happiness that she brings to both of us. Do convey our best wishes to Purvi!! Here's wishing Purvi a happie happie birthday! How did she like all her surprise gifts :)? wow, she looks so cute. the photos you have posted earlier did not give such a close view. wish purvi darling a very happy birthday. I have two girls and my eldest just turned TEN! Gillian: xoxoxoxo !! :) Much much appreciate your wishes. we MUST meet! :) U planning a vacation in Good old England? Sandhya: So sweet your little fellow is!! Do say a big thanks from Purvi-akka. Sucheta: Thank you so much! Manish: yes I can fully relate to your sentiments. hope you ha a great day too. Ruj: Thanks so much for the very kind words and blessings. 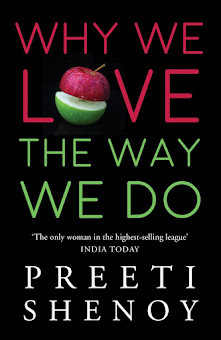 Gayu: she loved them all! I did not know the resemblance between me and her was so striking! Chandni: Thank you so much! Vinoo: Thanks a lot, my friend! what i love the most in ur blog is "mamma moments"! The portrait is beautiful....can just imagine the excitememt on ur daughter's face.